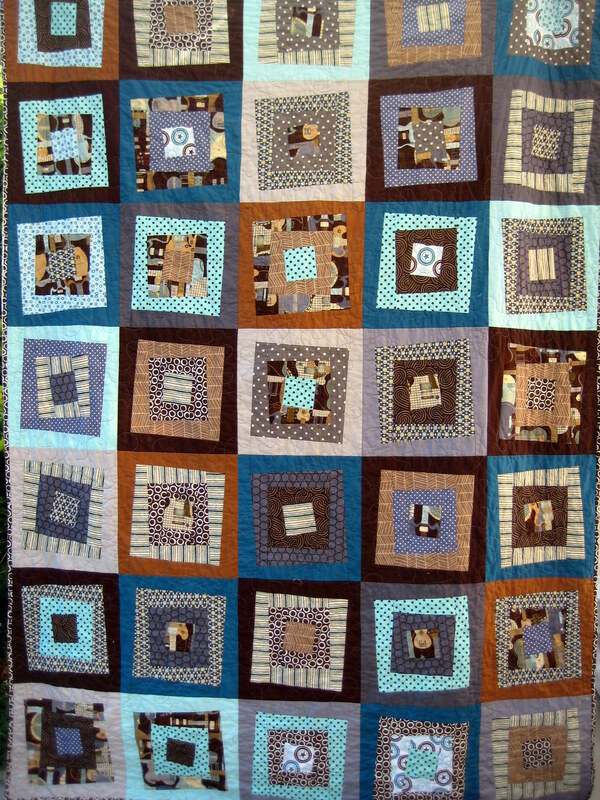 I actually finished this quilt, for Boy 1, a couple of weeks ago, but just got around to photographing it. These are not the best pictures, but they will have to do. 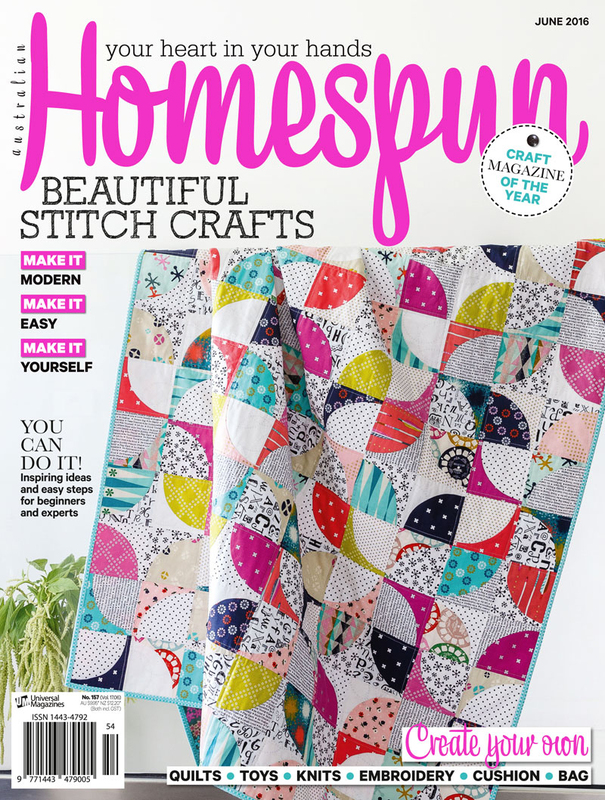 The pattern is Wonky Canasta by Elizabeth Hartman. The fabric was a custom bundle from Fabricworm. 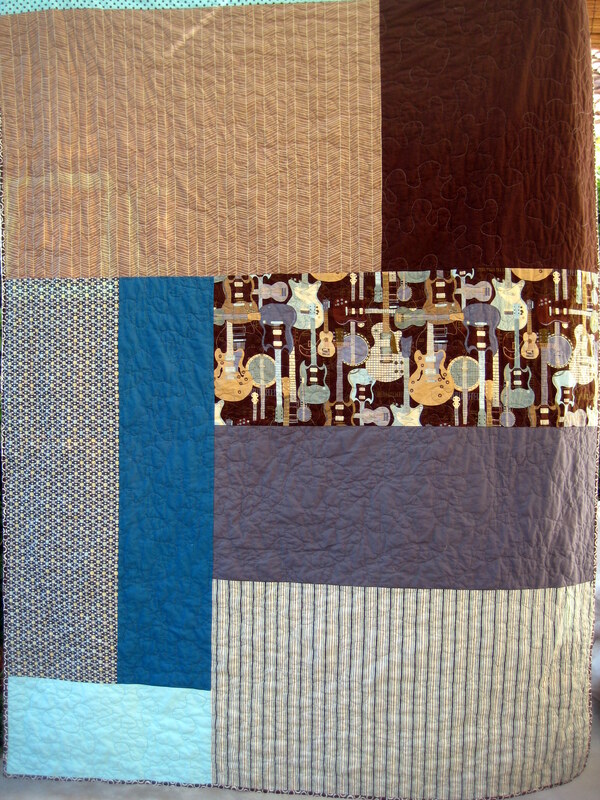 What really sold me on the bundle was the guitar fabric- it is so perfect for my very musical Boy 2. 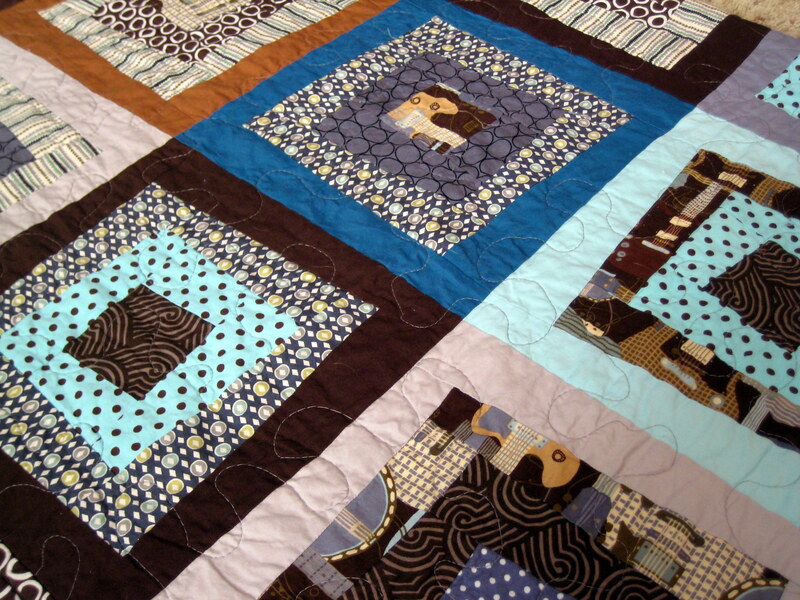 I loved the blues and browns and grays, but as the quilt came together, I think it turned out too muted for the Boy. He is usually drawn to brighter colors, but he loved the guitar fabric too. Now that it is all done and on his bed he loves it. His bed is a top bunk, however, and I could not get a good picture of it all made up. This is the pieced back. It is the only place you can really get a good look at the beloved guitar fabric. I’ve got a few charity projects to finish up and then I think I will move on to a quilt that has been languishing for quite awhile for the Girl. It looks like a bookshelf full of books- perfect for my book-loving girl. Oooh! VERY nice! Well done. VERY nice!! I love your color choices and I hear you on the “finally” a finish, lol. Great job! I love the colours! I always tend to go too bright, and a more muted quilt is nice sometimes. It looks fantastic. Especially the back. It looks like it would age very well, as it softens up and fades over the years. I love the guitar fabric too!